Henry Boot Developments (HBD) has kick-started development at Butterfield Business Park in Luton, with 83,000 sq ft of high-quality industrial, storage and distribution space to be delivered on a speculative basis. Ten units will be available for occupation by Autumn 2019, introducing much-needed supply to the Luton market. As well as the existing office consent, the scheme is now allocated for light industrial, storage and distribution uses, significantly broadening the scope of development at the site. A further 610,000 sq ft of employment space is set to be delivered on a design and build basis. The business park is located less than five miles from both Junction 10 of the M1 and Luton Airport. 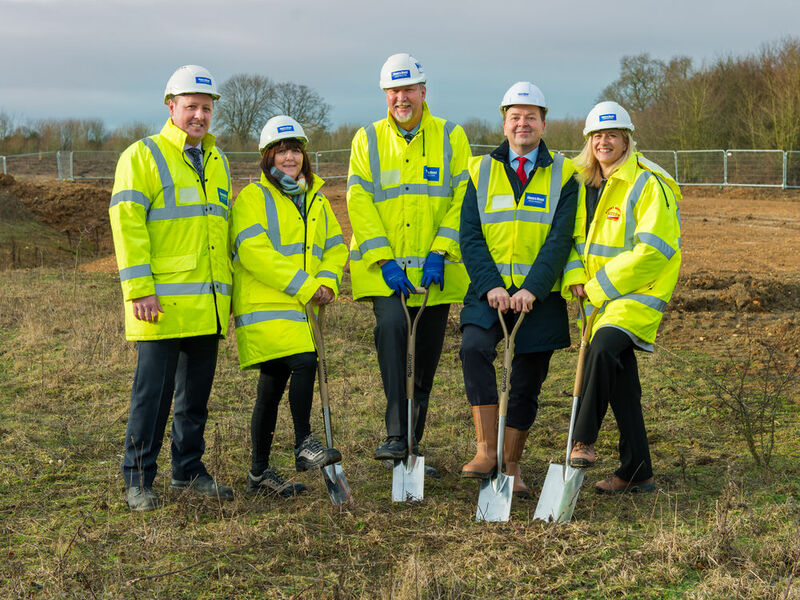 The site currently comprises an Innovation Centre, The Office Business Village, a 157-bedroom Hilton Garden Inn and a 100,000 sq ft research and development facility occupied by Eaton. Adrian Schofield, Director of HBDs’ London office, said: "This is a fantastic scheme, set in an attractive landscaped environment and which offers occupiers both freehold and leasehold opportunities on a design and build basis. We have big plans for the site that will realise its full potential, and we look forward to seeing the first ten units coming out of the ground in the coming months." Tony Shaw, Director at Henry Boot Construction, said: "Butterfield Business Park offers occupiers many benefits, including significant flexibility in terms of design and build options. With phase one infrastructure already in place, the scheme offers fast delivery programmes which will no doubt prove a real draw for potential occupiers. The first units will be delivered by Autumn 2019, and we look forward to working alongside the HBD team as the scheme grows further." Councillor Sian Timoney, Portfolio Holder for Transformation at Luton Council said: “Luton’s Investment Framework continues to strengthen our working with key partners to drive improvements in prosperity and wellbeing across the town. Butterfield Business Park, with all it offers and in particular its ideal location demonstrates that the town really is a destination of choice for businesses.” Lambert Smith Hampton and Cushman & Wakefield are the agents on the scheme.